"The very popular Step 2 Creative Projects Table is a 'one-person' or a 'two-person' desk. A clever re-positioning of the top storage shelve transforms this desk to allow either one, or two desk positions. Has lots of storage facilities and comes complete with two 11" stools." had been ill for several days and really wasn't quite himself yet when a lovely gentleman turned up at our house with a box larger than The Toddler himself, he smiled for the first time in far too long and immediately requested that The Husband construct it whilst he positioned himself on the sofa to issue orders and helpful 'directions'. The Husband isn't renowned for having a large portion of patience and anything remotely flat pack is his arch Nemesis yet this item comes in relatively few parts and proved quick and easy to construct, just the way things should be. 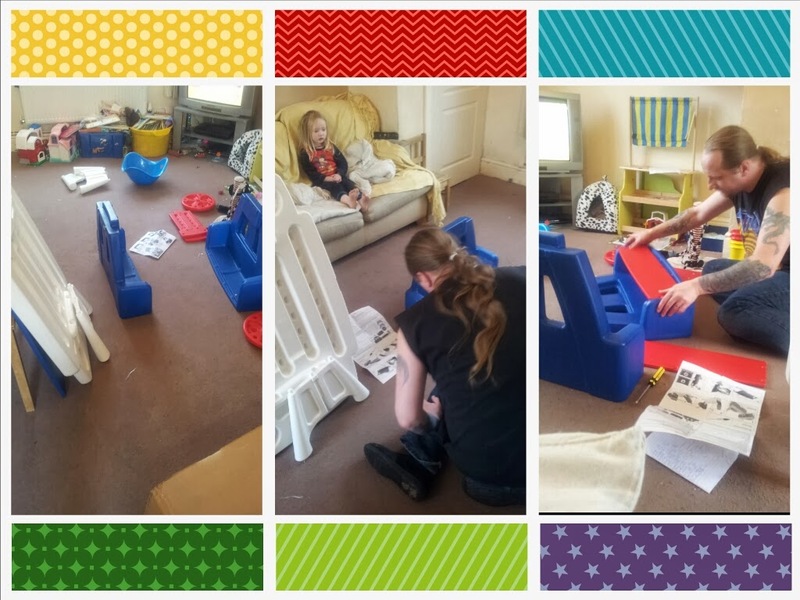 The Step2 Creative Projects Table has an ingenious design that make it suitable for both one child and two with a mere adjustment (it slides!) of the central raised canopy shelf. 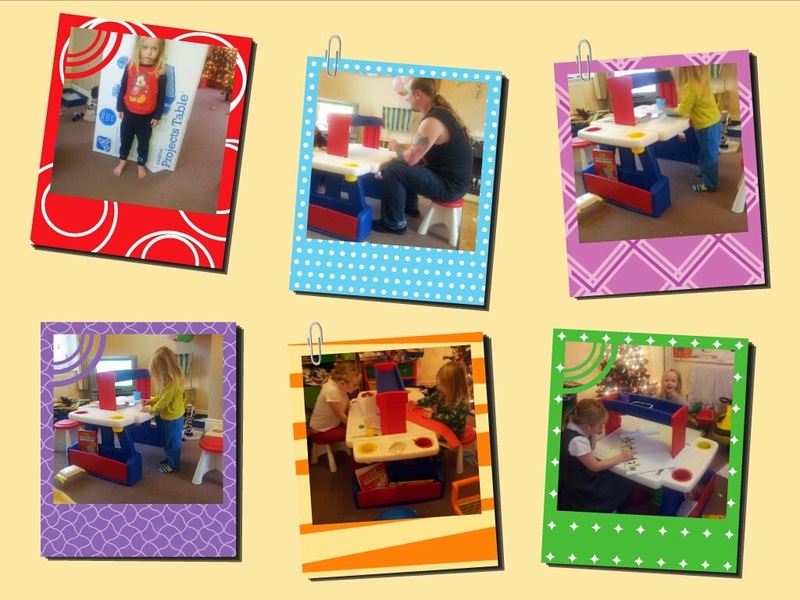 In one position it appears central to the desk allowing a child either side yet slide it to the edge and you have a perfect desk for one which can then be pushed up against a wall to save room should you desire. Despite having access to a multitude of art materials, The Toddler has remained for the most part somewhat ambivalent towards drawing and colouring so we were curious to see how he'd react to this. He has had an easel for quite some time that for the most part is neglected. Since the Step2 Creative Projects Table arrived he has used it, every single day. Without fail. It's an inviting design and size to draw his attention with enough storage and access to his craft items to hold his attention. No more fumbling under the sofa for lost and discarded pencils and lidless felt tips whilst emptying entire book boxes for the elusive colouring books. Everything is neatly stored and immediately at hand. 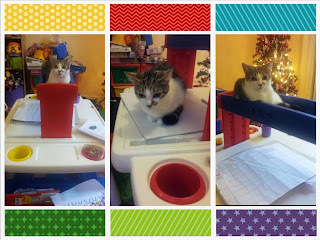 He's drawn, coloured, painted, cut, created and even eaten his dinner at this table. It appears to have a magnetic pull to him. 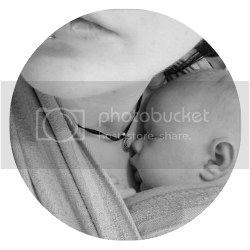 The item is easy to put together, sturdy, and inviting. The only negative to this product would be it's size, at H=81cm, W=99cm, D=67cm it takes up a significant amount of, especially if you want it to be accessible and utilised by two children at once needing it to be in a floating position. Because of this, it may not be suitable for everyones home, I know we'll be rejigging furniture after Xmas so that it can be positioned a little less obviously. If you have room for this in your home, do consider investing in one, encouraging childrens creativity is priceless and providing a stimulating and easily accessible area for this can go a long way into turning a five minute attention span into a twenty five minute one and for me personally, having somewhere to stash all the paraphernalia associated with creativity that doesn't need my help to reach is a huge plus. Features a large table surface with moulded in storage tray which accomodates large removable storage cups for art supplies. 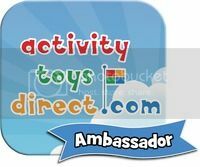 ***Activity Toys Direct provided us with this item as part of the Play Ambassador scheme, however, all opinions and experiences are undoubtedly my own. This table looks cool, I would love to get something similar for my son but I don't have room for it in my house at the moment. It's time to clean out the toys my youngest no longer plays with. That is seriously it's only drawback, the size. If space can be made it's definitely a great item to invest in.